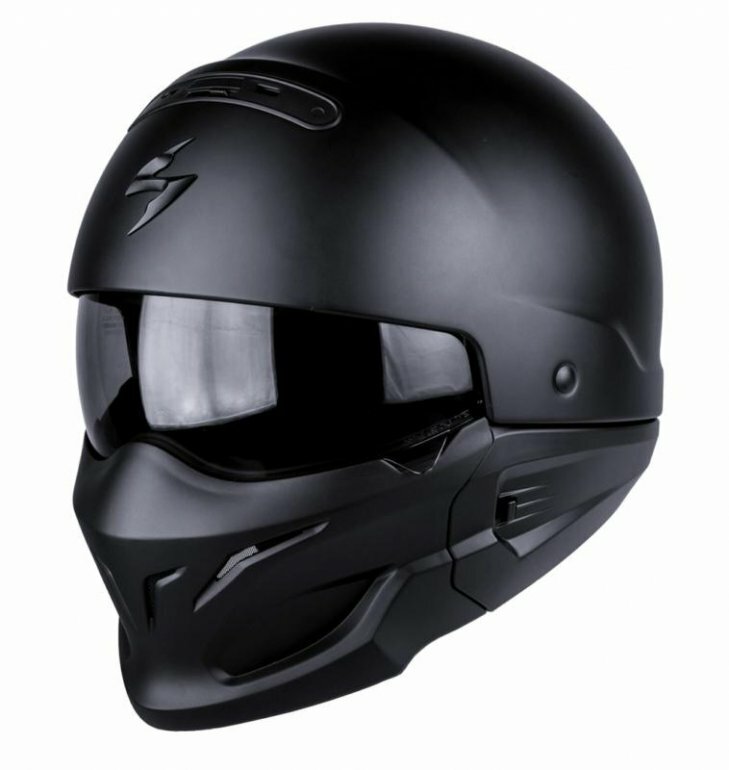 EXO COMBAT Matt Black Scorpion’s best- selling helmet! It’s a super-aggressive Mad Max style retro/Streetfighter helmet. It has a 5 year warranty, the chin part is removable to make it into an open face lid. The chin bar acts as wind protection only and the helmet is classed as a Jet helmet with a Non Protective chin bar. The helmet comes with two sun visors. One light smoke and the other is dark smoke.